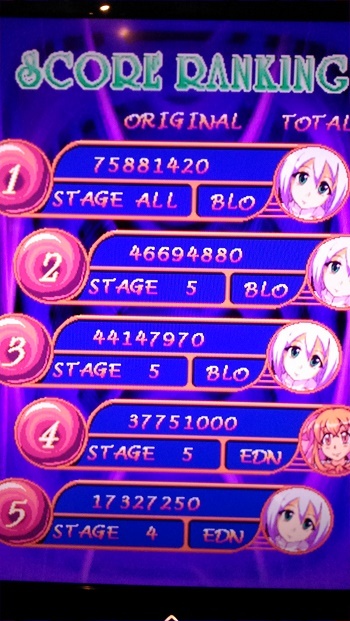 Stage 5 could have gone better. 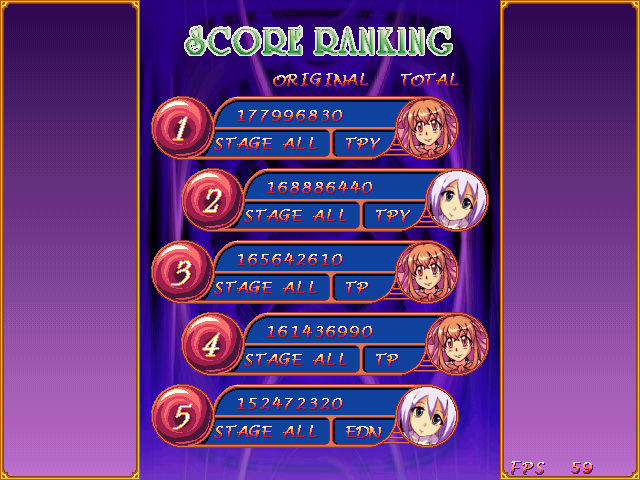 Will try to work on 170m by not getting hit twice on stage 3 and learning new stage 5 strats. Nice scores! Keep it up! 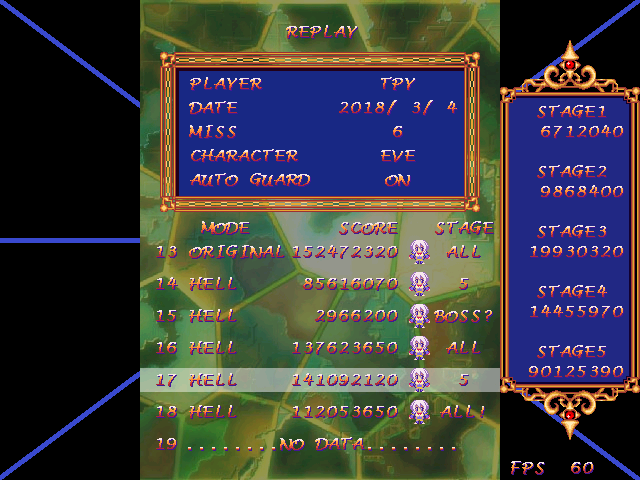 You're almost at the end of Hell mode. 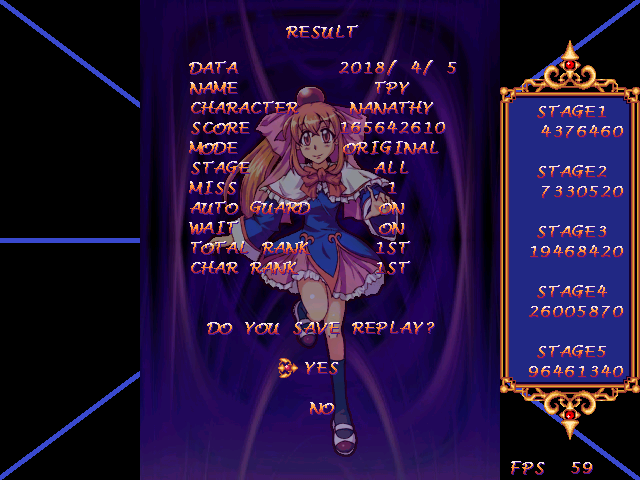 Basically a placeholder score, I will be improving this. 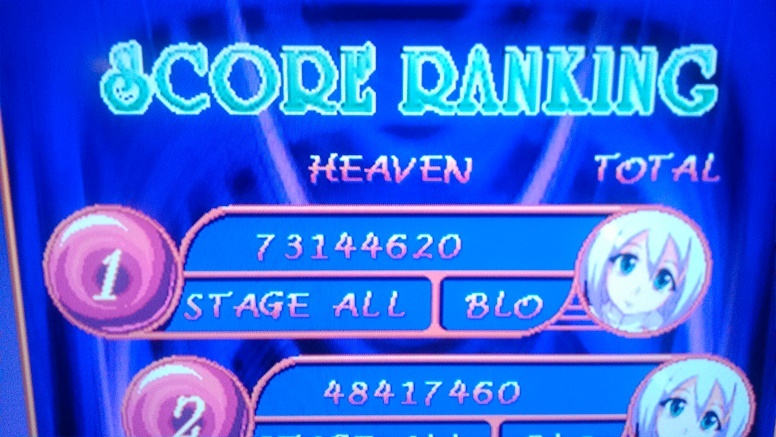 EDIT: Did you happen to overlook PlasmaBlood's score above? Just noticed it's not on the table. fixed it now. Check if I still made something wrong or missed some stuff. Will probably try to raise this some more. 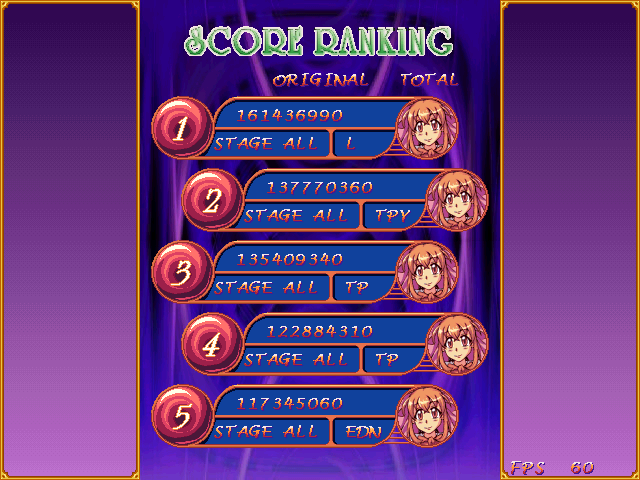 I wish stage 5 wasn't so much of your score, but I guess that's in true Cave fashion. Sorry about the repeated posts. This will probably be my last one for a while, since I'm pretty happy with this for now. Missed out on cancelling bullets in a couple spots during stage 5. Mostly concern with surviving by that point. Since the thread has been bumped, I think this submission accidentally got overlooked. Thanks again! Some screw ups with the wait on run. Wanted to at least change how I approach the start of stage 5. Everything should be updated now. Been busy for a while but am making a comeback since I am practicing another game for the upcoming Retro Gaming Expo in our country. From experience, patterns are exactly the same between 1.31 and 1.21 (at least on Heaven and Original; and yes, I actually compared them side-by-side). The only big difference is that you have only 2 options in 1.21. Power drop isn't all that big though - bosses can take like a second or two longer but that's about it. Don't know how much more I can go with Nanathy. Kind of considering the idea of planning out bombs during stage 5. New record! And again, a custom wallpaper. Score improvements. 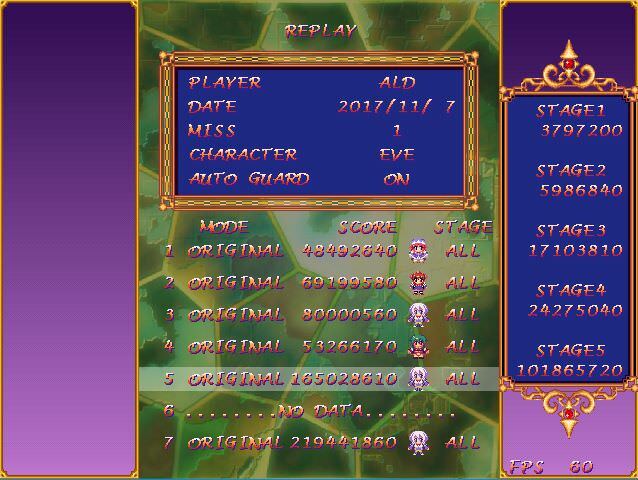 All because of what I learned about scoring techniques from Jaimers is some other shmups like Espgaluda. Attempting to use more bombs in stage 5.